Used car purchases have become very popular in Saltillo. The fact is, people are no longer adhering to the "social norm" of purchasing a brand-new car for appearance's sake. 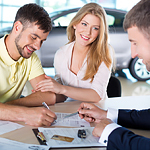 Sure, there are many who can afford to purchase brand-new, which is great, but after the economic recovery from a decade ago, car-buyers are making smarter choices! And, if you're one of them, Barnes Crossing Mitsubishi has some great news to share! Your family and friends are probably the most important things in your life. That's why you want a safe car for them to travel in. One thing you can do to keep them protected is check the safety ratings of your vehicles before you buy. 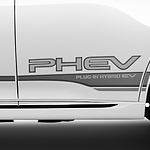 Now that the new Mitsubishi Outlander PHEV has arrived at Barnes Crossing Mitsubishi, we couldn't wait to talk about the features throughout this popular compact SUV plug-in hybrid. The Adaptive Cruise Control system in the new Mitsubishi Outlander PHEV will make driving this hybrid more safely at high speeds. Simply select your cruising speed, the radar in the sensors mounted in front scan ahead to the lead car to create a buffer. That buffer is maintained as the vehicle can accelerate or brake as needed without assistance from the driver. One of the traits of a strong vehicle is one that is going to provide you with a stable ride. One of the vehicles that have great handling and a smoothness in how it works is the Mitsubishi Eclipse Cross. The features and drive mode of this vehicle brings a reliable ride that we at Barnes Crossing Mitsubishi recommend for our customers. 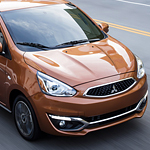 Mitsubishi has always been known for its stylish and high-performance vehicles, and the Mitsubishi Mirage, a popular subcompact sedan, keeps with that tradition. This dynamic sedan is filled with all the latest technology, which can be seen by visiting us at Barnes Crossing Mitsubishi. Let us show you the Mirage first hand. Not every SUV comes full-sized. A compact SUV appeals to those preferring such a vehicle. They don't need all the space or size though. The Mitsubishi Eclipse Cross stands tall as one of the more popular subcompact options out there. The advanced technology features play a role in the model's popularity. The "head-up display" addresses a concern many drivers possess. Looking away from the road to look at speed levels or other information isn't always safe. With the full-color display placed in front of the driver's line of vision, things change. 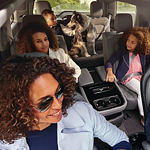 You depend on your SUV to have the power and features it needs to take you on your next trip. With the 2018 Mitsubishi Outlander, you have a stylish exterior with the features you need from this popular SUV. Cold weather can make some trips unpleasant. But with heated steering wheels and seats, the ride can be more comfortable even when it’s chilly outside. 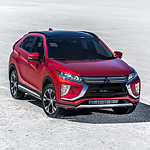 The new Mitsubishi Eclipse Cross has a sleek, streamlined profile that mirrors other higher end, luxury SUV's. You'll look like a million bucks riding around the streets of Saltillo in this fuel efficient, safe and stylish Sport Utility Vehicle. Best of all, the Eclipse won't set you back a million with MSRP coming in just under $24,000. Are you ready to purchase your next compact sedan? 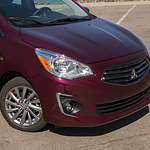 If you are, you should check out the 2018 Mitsubishi Mirage G4. The 2018 Mirage G4 offers a wide range of safety, performance, capability, and technology features that make it one of the best compact sedans in its class. To learn more, we have included a few technology features that are offered with the new model below.